Dedicated to helping you through your buying & selling journey, every step of the way. Heidi is an outstanding agent. Her level of care exceeded our expectations. She guided us through the typical aspects of the sale of our home and the purchase of our new home. She was able to refer contractors and service providers to help to get our home ready for sale and even served as a sounding board for the staging and painting of our home. She helped us with not only with the essentials but many unexpected aspects that made the process so much more bearable. I would not hesitate to recommend her and have to many people already. Heidi Linsky is a full-service realtor! She came in an assessed what projects would be beneficial prior to listing my home, assisted in finding a contractor, a landscaper and a flooring expert -- all local, easy to work with and well priced. Heidi was easy to reach and always quick to respond. She arranged for expert staging of my home and beautiful marketing photos! She then negotiated on my behalf, selling my home in a within a week of listing it! Heidi was excellent to work with. We went into the process having not really pinpointed a specific area or home type. We gave her a few general things to start with and we toured quite a few homes the first weekend. Almost immediately, she changed up the search parameters to fit how she perceived our reactions to the homes we were seeing, and we found the perfect house within a week. Her ability to hone in on what we really wanted rather than just what we said we wanted has resulted in our landing in the right house at the right price. Would definitely recommend Heidi to anyone. She's far more interested in getting you into the right home, not just one that fits the numbers. Heidi Linsky's grace and professionalism make your home or property search and purchase, a joyful experience. Whatever you are looking for; be it personal or professional, Heidi Linksky's knowledge base is comprehensive. At no point did I question if I was working with the best. Heidi has an easy charm, and an innate understanding. I have been so fortunate to have worked with wonderful real estate professionals in the past, and Heidi Linsky is a rising star. My situation had it's challenges, distance, timing etc. but Heidi went above and beyond. I will work with no one else. Heidi is incredibly helpful and knowledgeable. She helped me buy my first home and has been an invaluable asset during and after the purchase and move-in. She is extremely responsive and resourceful and ensured that every little detail was taken care of before the move-in. I would highly recommend Heidi to my friends. Heidi was our selling agent for our 30+yr old home in Redmond. It was a total positive experience. She is too notch customer service. Knows the market well and how to get us a great offer. I would highly recommend her to anyone searching or selling." When we decided to purchase a home, we didn’t even know where to begin looking. We reached out to Heidi and everything fell into place. She was there every step of the way to guide us through the process. Heidi was very hands on and made sure we felt confident. We can’t imagine this process without her. There’s not doubt in my mind that we’d pick Heidi in a heartbeat to do it all over again. Heidi was amazing! She went above and beyond, I live out of state, and Heidi handled absolutely everything, from scheduling cleaners to fixing broken items. A dream come true. Our experience with Heidi was the best we ever had with Real State Professionals. She is very kind, professional, and very respectful. Undoubtedly, that's our option every time from now on. She represented us, on this Property, as buyer's agent. 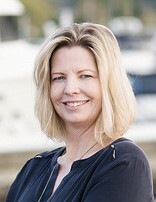 We are SO happy that we went with Heidi Linsky, Windermere agent in Kirkland! She was always pleasant, knowledgeable, fun to work with and extremely well-organized. She went above and beyond to help us get our house on the market in a short time period and got us a terrific result. She was a wonderful resource for painters, handymen, home inspectors, etc. as well. Truly a full service agent! Heidi was absolutely wonderful! Working with her was a pleasure and knowing she was our real estate agent gave us peace of mind throughout the whole process. This was our first time purchasing a home and Heidi was great from start to finish. She was always available to answer any of our questions and explain every step of the process. She made sure we understood what we were doing from the very beginning and was very thorough. She met with us a few times to go over and look at properties, which was really nice. Having her while we toured different homes was of great help because she helped us see things through a professional point of view and pointed things out that we would have missed otherwise. She was very respectful of our needs and made sure to provide us with information to properties she knew we would be interested in. By the time we found the property we wanted she had everything ready and we were able to act very quickly, allowing us to place an offer right away. Because of her recommendations and great work our offer was accepted and we were able to purchase our first home! Working with Heidi was a pleasure and I would definitely recommend her. I know we will call her as soon as we are ready to purchase our next home. We were referred to Heidi through our primary realtor who had to relocate to outside of the state. Originally, we were hesitant given the trust we developed over the years with our original agent. However, Heidi quickly quelled those concerns by displaying her expertise, careful eye, and honest opinion in our housing search. She helped us identify the type of home that would make us the happiest long-term and did not pressure us into making any decision we were uncomfortable with. Additionally, when negotiating, she thought of tactics and terms that we would not have thought of originally on our own (e.g. negotiating $ back on closing costs, etc.). Furthermore, she was incredibly accommodating of our schedule - we were purchasing a home in WA from out of state and only had limited availability for touring. Heidi would make every effort to be available during the entirety of our trips up to WA and in the event she was unable to, she still coordinated the tours for us (including pick-up and drop-off from the airport!). It was a pleasure working with Heidi and we would definitely recommend her to our friends and family. Buying and selling real estate in today's market is not easy. You need someone you can trust to be honest and have your best interests in mind. I am committed to helping my clients have a positive real estate experience by using all of the resources and expertise that Windermere has to offer. I will add value to your experience by paying attention to the multitude of details in each transaction and giving you the peace of mind that you have a professional on your side. For sellers, this includes marketing strategies and pricing models which position your property to stand out in the market. For buyers, it is the undivided personal attention to identify all possibilities that meet your budget and lifestyle. I moved to the Eastside of Seattle from the Midwest almost twenty years ago and currently live in the Kirkland. I specialize in single family residences on the Eastside. I have a background in design and law which gives me an unique perspective in the real estate market.